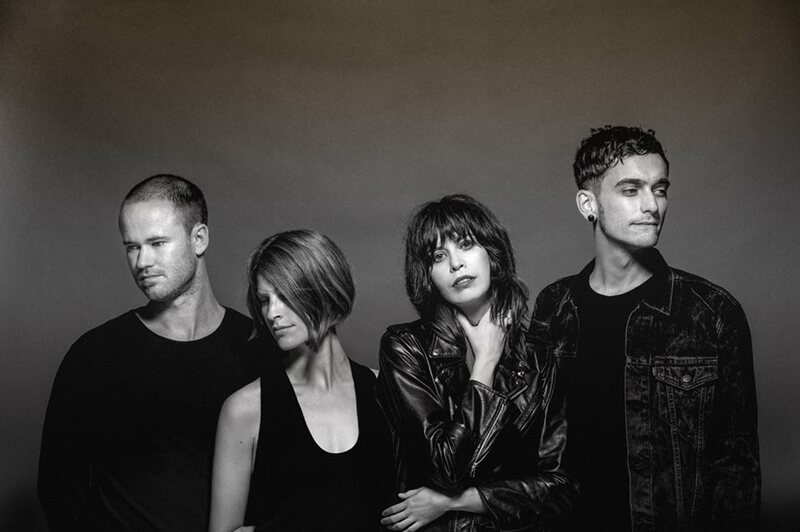 Australian gothic synth-pop quartet The Jezabels have released a haunting animated video for “Come Alive”, the first taste of the band’s third album, Synthia, released on the 12th of February via Caroline Distribution. “Come Alive” is a dark industrial encounter, perfectly accompanied by the poignant and moving animated video, and one that set the benchmark for Synthia. Says frontwoman Hayley Mary: “Previously I’ve shrouded myself a lot in mystery and the language of romanticism; played roles and stuff — which reflected some kind of truth about how I felt as a woman. You can watch the video for “Come Alive” below. The extraordinarily beautiful animation was directed by Darcy Prendergast & Xin Li at Oh Yeah Wow in Melbourne. The Jezabels are set to play a special one-off performance at The Dome, London on March 10th in support of Synthia. Having previously playing sold out shows at Shepherds Bush Empire, KOKO, Brixton Electric, Heaven and more in support of their extensive back catalogue, it will be a rare opportunity to catch the band in one of their most intimate appearances in the UK capital yet.